Under the rules of the Swedish Academy, the Nobel Prizes archives may be opened 50 years after the awarding takes place. Thus, the documents of October 1958 may be declassified in January of this year. This is a notable date for Russian culture. 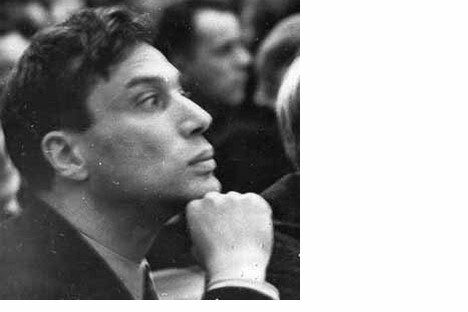 That year, the Academy awarded a Nobel Prize in literature to Soviet poet Boris Pasternak. Pasternak decided to try to get it published. He took the novel to the editorial office of the popular literary journal Novy Mir. At the same time he gave a huge folder with its typed version to the young Italian journalist Sergio D'Angelo. A Moscow radio broadcaster, the Italian was looking for new Soviet novels for Giangiacomo Feltrinelli, a Milan-based ambitious young Italian publisher with communist views. Having found out about the new novel, the Italian journalist rushed to Peredelkino, outside Moscow, where the writer lived, and Pasternak handed it to him without any hesitation.